The roadmap for biomass is under study in China and may prove a gem for development of the sector. Biomass presently contributes nearly 5% of power generation to the total renewable. The technology has good growth prospects due to available potential in the country. The prospect of a probable reduction in nuclear in France presents a fantastic opportunity for the photovoltaic industry. And never mind the Chinese competition - the French players have their card to play. While startup costs and transition problems have yet to be resolved, Germany is betting on its future, and future generations using solar and wind power will not have to bury energy wastes with a half-life of tens of thousands of years. The South Africa Baviaanspoort site has yielded significant savings in terms of maintenance and repair costs and improved reliability over the duration that the ElectraGen™ ME has been installed. The European wind energy market is just starting to recover from the economic downturn in 2009. As demand stabilises, steady growth is forecast. At the same time, the market is poised for greater consolidation that will result in the emergence of fewer but stronger participants. New analysis from Frost & Sullivan (http://www.energy.frost.com), European Wind Energy Markets, finds that the market earned revenue of $19.18 billion in 2010 and estimates this to reach $42.48 billion in 2017. The application sectors covered in this research service are offshore and onshore wind energy. "Europe's wind energy market is primarily driven by the European Union's renewable energy agenda to meet 20 per cent of its energy needs through renewable sources by 2020," notes Frost & Sullivan Research Analyst Neelam Patil. "The high growth potential of offshore wind energy, coupled with the emerging markets of Central and Eastern Europe (CEE) are attracting investments in the European market." Ascent Solar Technologies, Inc. a developer of lightweight, flexible, thin-film photovoltaic modules, announced today that itsflexible CIGS solar panels were named one of TIME's 50 Best Inventions of 2011. Ascent's technology was one of six ‘green' inventions to be recognized in this year's list, featured in the Nov. 28 TIME issue. For each of the past 10 years, TIME has recognized the top 50 breakthroughs in science, technology and the arts. Previous honorees have included the iPad, Nissan Leaf, 3-D cameras, and the world's first synthetic cells. "We are honored to be recognized by TIME as one of this year's top 50 inventions," said Ascent Solar President and CEO, Ron Eller. 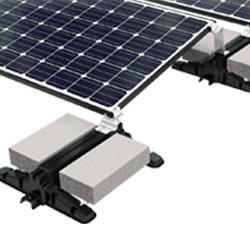 "Our flexible solar panels integrate seamlessly with countless applications across a wide variety of markets. TIME's recognition further validates the transformational aspects of Ascent's technology." Twenty-one cleantech startups from across the U.S. competed for a grand prize of $250,000 in seed investment and services at this year’s Cleantech Open Business Competition. On Wednesday night, the not-for-profit organization awarded the national grand prize to the winner in the renewable energy category, Atmosphere Recovery, which makes laser-based gas analyzer systems for efficient manufacturing and advanced energy process control. See the full list of winners here. Feed in Tariffs - the proven road NOT taken…Why? Complacency is always a barrier to change. Just as the Captain and crew of the Titanic became complacent when the ship was deemed "unsinkable" we must not become complacent and not do what is proven and obvious - Feed in Tariffs. As with the dotcom crash, the death of Solyndra, Evergreen and others will usher in a more robust solar industry not signal the disappearance of PV as a viable alternative for future energy needs. Both companies were a tiny fraction of an enormous and rapidly growing global market. The clean energy provided by the solar array will result in 1,810,000 fewer pounds of carbon dioxide being emitted annually, while reducing the University's energy costs by 30%. To become a smart city requires a comprehensive city-wide sustainability plan, strong leadership from local authorities, effective public/private partnerships and enthusiastic buy-in from citizens with several EU funding opportunities there to help out along the way. The SolarTie System was designed to lower the Levelized Cost of Electricity (LCOE) for utility-scale solar power plants. A great deal of attention is being given to reducing the LCOE, which defines how much the energy produced really costs.